As the Indian civil aviation industry is expected to become the third largest by 2022, it would be necessary for the government to have the right vision, planning and execution. The long-awaited National Civil Aviation Policy (NCAP) was finally cleared by the government on June 15, 2016. This is the first time since Independence that an Integrated Civil Aviation Policy has been issued. 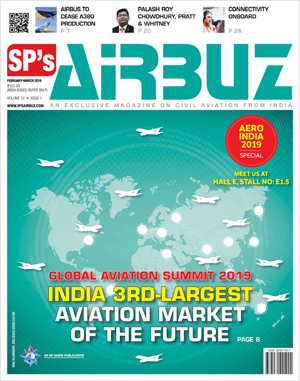 Quite understandably, this has generated considerable excitement not only in the Indian civil aviation industry,but amongst the travelling public as well. The airline industry has reasons to be enthralled as the new policy document contains a variety of measures to develop an eco-system that will provide the required impetus for the balanced growth of the country's under-developed and under-exploited civil aviation industry. On coming to power in May 2014, theNDA Government had unveiled the draft NCAP in November 2014.After initial revision, the draft policy document was circulated amongst the stakeholders for their comments, views and suggestions. There were also several rounds of deliberations with them.The Ministry of Civil Aviation (MOCA) received as many as 450 responses from the stakeholders who would now be anxiously looking for the takeaways from the new dispensation. Initially, the policy was expected to be finalised by March 31, 2016, as some of the proposals were to be in effect from the commencement of the current financial year. However, resolution of the differences among stakeholders especially on the highly controversial 5/20 rule, proved to be a sensitive and a tricky issue to resolve. This led to the delay in the government saying the final word. 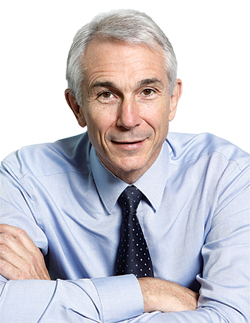 Disposal of the 5/20 rule was the single issue that generated considerable debate and some acrimony in the process of evolution of the policy. As expected, the Indian airline industry was clearly divided on the issue with legacy carriers opposing any changes to the 5/20 rule while the newly established airlines vociferously insisting on its abrogation. It will be some time before the details of the newly approved policy document is made available in the public domain and its impact is accurately evaluated by all the stakeholders. Just to recap, the highly controversial 12-year old 5/20 rule enforced by the UPA Government that required new carriers entering the market to meet with two preconditions before they could be permitted to operate flights in the international segment. Application by a newly established domestic carrier for a license to fly on international routes would only be considered if the airline had a minimum of 20 airliners on its fleet and had completed five years of operations in the domestic sector. 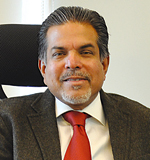 With the arrival on the scene of heavyweights such as AirAsia India and Vistara, the two joint venture airline set up by the House of Tatas with AirAsia Berhad and Singapore Airlines that had an immaculate global reputation, the 5/20 rule suddenly got embroiled in an ungainly controversy.However, the 5/20 rule has now been replaced by what is being referred to as the 0/20 rule. This implies that a new entrant will be required to have a fleet of a minimum of 20 aircraft before it can apply for license to operate on international routes. The precondition of experience of five years of operation in the domestic sectorhas been done away with. At present, Vistara has 11 aircraft in its inventory and AirAsia India is operating with six. Both these carriers will be inspired to quickly build up their fleet strength to 20 to benefit from the abrogation of the 5/20 rule. This however, may take a few years. The NCAP also has a slew of measures to induce passengers to exploit the convenience of regional connectivity. Thankfully, the suggestion by the MOCA to introduce a system of accumulating a certain number of Domestic Flying Credits (DFC) points before becoming eligible to operate on international routes, has not been adopted. If the system of accumulating DFC points had indeed been adopted, it would have involved considerable amount of number-crunching and as observed by experts, it would have been a case of 'the cure being worse than the disease'! Mercifully, better sense has prevailed. 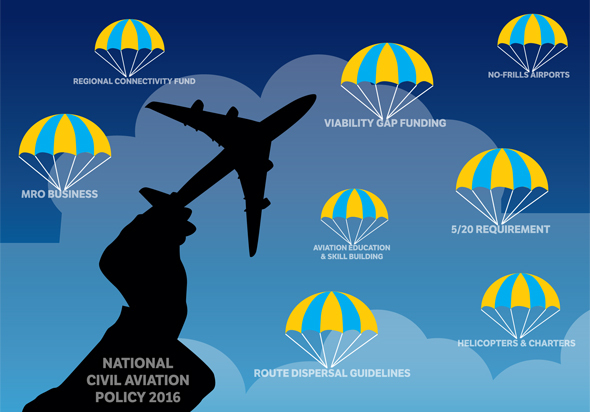 The other area of focus of the NCAP is the Regional Connectivity Scheme to strengthen regional aviationby making flying attractive and financially affordable for the middle class. Largely neglected so far, it is this segment of the industry that is the proverbial low-hanging fruit and hence it is only appropriate that the NCAP has set the stage for the Indian airline industry to exploit the immense growth potential of this sector. While the new policy has lucrative financial incentives to motivate the domestic carriers to operate on regional routes and avail of the benefits provided for by the government such as waiver of airport charges and reduced level of taxation on aviation fuel, the NCAP also has a slew of measures to induce passengers to exploit the convenience of regional connectivity. Passengers will benefit from the provision in the policy to cap airfare at Rs 2,500 for a flight of a duration of an hour and Rs 1,200 for a 30-minute flight on regional routes. As per the scheme, the central government will provide funds to make up for up to 80 per cent of the losses suffered by the airlines operating on regional routes. The state governments would have to bear the remaining 20 per cent. To generate resources to compensate the domestic carriers operating on loss-making regional routes, the policy has a provision for Viability Gap Fundingthrough the creation ofcreating a regional connectivity fund through a levy of a cess of two per cent on non-regional domestic routes and international flights. Apart from the two major issues discussed above, the NCAP incorporates initiatives to revive in consultation with the state governments, the large number of airstrips in the country that are lying in disuse, build new low-cost, no-frills airports through then public private partnership model even within 150 km of the existing ones, institute dedicated regulations for rotary-wing aircraft, facilitate the growth of the maintenance, repair and overhaul industry through lower taxes or other levies, rationalisation of policy related to ground handling at airports, rationalisation of Route Dispersal Guidelinesand measures to boost skill development to meet with future demands of the aviation sector. A number of measures have also been incorporated to enhance convenience of the travelling public through regulation of charges and fees imposed by the domestic airlines on passengers as also to ensure that services offered are fair and consumer-friendly. There are special provisions for the disabled. Minister of Civil Aviation Ashok Gajapathi Raju stated that the objectives of the NCAP is to 'make flying affordable, safe, convenient', promote balanced regional growth, tourism, infrastructure and most important of all, to help improve the ease of doing business. As per Ashok Gajapathi Raju, the Minister of Civil Aviation, the NCAP approved by the government on June 15, 2016, will be a 'game changer'. 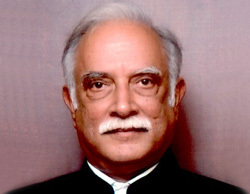 He went on to say that as the Indian civil aviation industry was expected to become the third largest in the world by 2022, it would be necessary for the government to have the right intentions, vision, planning and proper execution.The Minister stated that the objectives of the National Civil Aviation Policy is to 'make flying affordable, safe, convenient', promote balanced regional growth, tourism, infrastructure and most important of all, to help improve the ease of doing business. The Minister also observed that the Indian civil aviation sector was most under-penetrated. Referring to data, the Minister stated that while around 35 crore individuals constitute the middle class in India that have the financial capability to avail of air travel, the total number of persons travelling by air in the course of a year stands at a measly eight crore. The average Indian thus flies only once in five years. There is obviously immense scope for growth. With the implementation of the NCAP, there is a good chance that the Indian civil aviation industry and the air traveller could look forward to good times ahead!